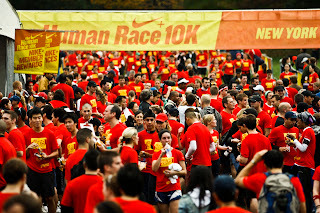 When I first heard about this year's Nike Human Race, I was all over it, even though Nike wasn't holding a mass event in the Windy City this time around. It didn't cost a cent, unless I somehow missed something in the race announcement, and I could do it virtually if it wasn't being held in my city. Considering the race date, October 24, I could understand why it wasn't making a Chicago stop--it wouldn't make sense. This city's runners would have been burned out by the marathon held only two weeks before, and this new race date would be competing with some Halloween, fall festive mainstays. To me, I could care less. All I needed was my running shoes and I could go out and do the run on my own. And in a city that only gets more and more crowded with runners (hey, I'm not complaining about that, only about the lack of free parking spots at a city race site), I could do without the crowds. Not having to be clocked helped too because I doubted my abilities to be fast two weeks after running a PR. 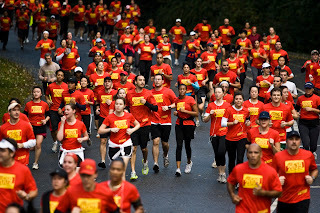 But in the Human Race's 24 cities that did hold organized events, New York City being one of them, the runners came out in droves. Wouldn't you if you knew that other runners would be running on the same day and time? 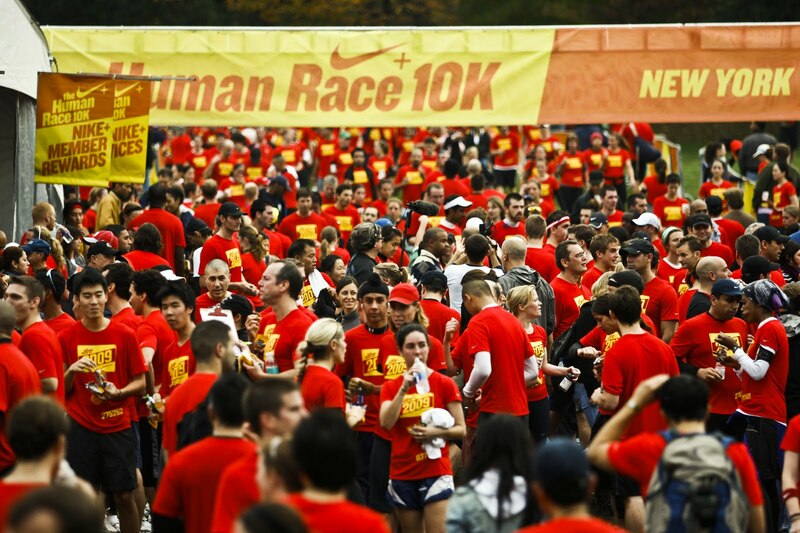 Check out this sea of red from Nike's Human Race, running the streets of Brooklyn. Lining up at the start line. 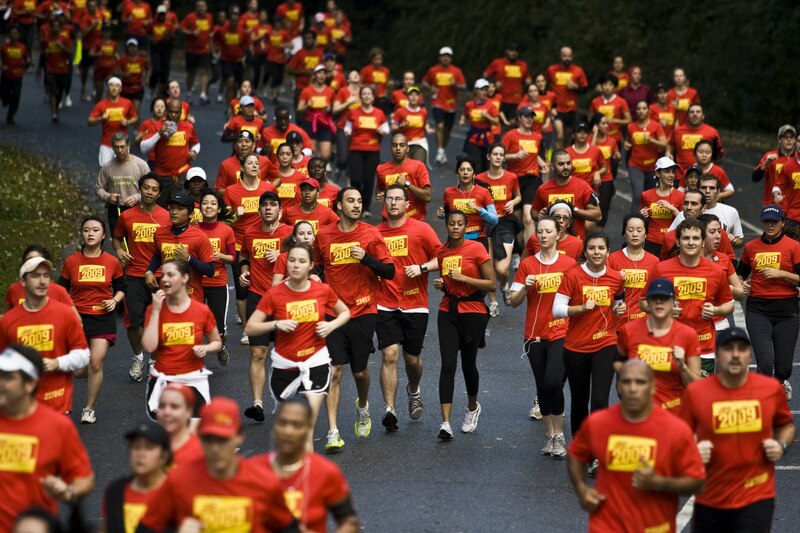 More than 3,000 runners took to the roads through Brooklyn. Finishing the 6.2 miles in the company of others at Prospect Park. I think these runners finished far earlier in the day than me. I did my Human Race run virtually but had to cram it into a jam-packed day with my sister visiting from California. My non-running, thinks-I'm-crazy sister. So what did I do after gorging on dinner at her must-eat-while-in-Chicago spot? I hopped on the treadmill and went for a run...in the dark, by myself. Did you run? Photos courtesy of Nike Human Race.